Baan Dinso @ Ratchadamnoen sits right in front the Democracy Monument, Thailand's historic landmark filled with stories and the old city. 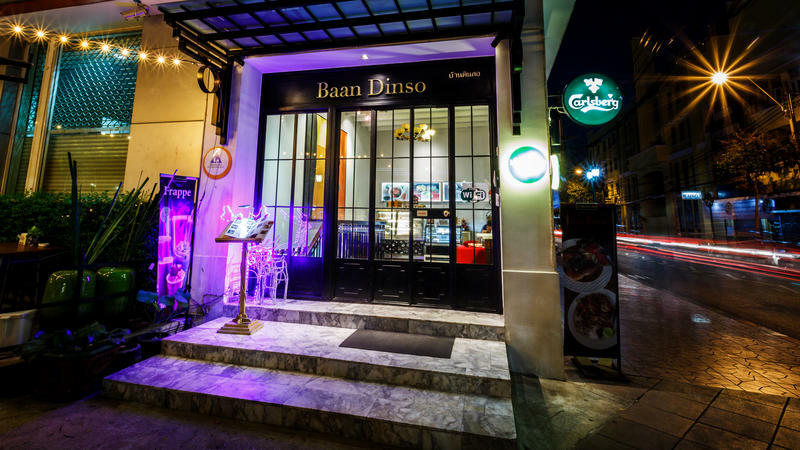 We are located on Dinso Road just five minutes away from the famous Giant Swing and Bangkok's city hall. Take a stroll around the hostel and you will quickly find ancient structures, the old community, temples, restaurants, canal pier and tuk-tuk drivers. 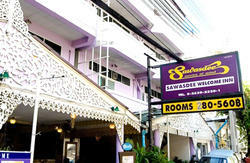 The hostel is also a few minutes' walk away to the famous Kao Sarn Road. Our private single and twin rooms are shared bathroom with a choice of city view or monument view. Our deluxe and grand rooms boast stunning view of the Democracy Monument with en-suite bathroom. 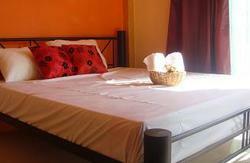 All rooms include breakfast, free WIFI, television, towels, drinking water and luggage storage service. Because we sell for the same price as 7-11 and other convenient stores, you can be sure that you are paying a local price when grabbing a meal or a beer from our restaurant. For your option, we also serve fresh coffee and vegetarian meal at the restaurant. Please inform taxi driver to drop you off at Democracy Monument. Take caution that some drivers may confuse this location with the Victory Monument. Take the express or city line to Ratchaprarop station and from there hail a tuk-tuk or taxi, which should cost no more than 100 THB. Get off at Phan Fa Lilat pier, then continue walking on Ratchadamnoen road towards the Democracy Monument.